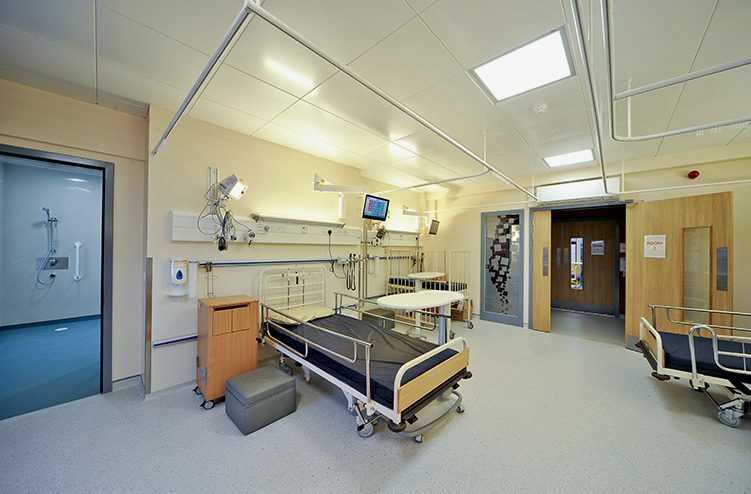 Heralded at both the Irish Building & Design Awards and the Irish Construction Industry Awards (Construction Project of the Year and Health Project of the Year), the new Hybrid Cardiac Catheterisation Laboratory and Orthopaedic Theatre at Our Lady’s Children Hospital in Crumlin is a fantastic achievement. Everything about this project is exceptional, including the electrical contracting services provided to main contractor Clancy Construction by renowned general electrical engineering contractor, L Redmond (Electrical) Ltd., who have made their name by delivering high-quality solutions over the past five decades. Working on large, medium and small high-quality projects for prestigious clients, architects, engineers and main contractors, including various jobs for Dublin City Council and the OPW, L Redmond (Electrical) Ltd. pride themselves on providing excellent, up-to-date electrical services installations backed up by a highly-efficient maintenance team. L Redmond (Electrical) Ltd. is fronted by Liam and Ann Redmond and their son Brian, who has been part of the family business for 22 years. “Quality workmanship is the biggest thing for us,” the latter points out. “That’s why so many people come back to us. A full range of general electrical services is provided, including lighting and power supplies; annual maintenance and periodic inspection of emergency lighting systems; and installation and maintenance of public lighting and fire alarm systems. L Redmond (Electrical) Ltd. can also supply, install, test and commission Distribution Centres, as well as carrying out thermal imaging and annual inspections. They also supply, install, test and commission CAT6 and CAT5e data systems, intercom systems and nurse call systems and can complete the installation and maintenance of security (intruder alarm, CCTV, door access) systems. The Redmonds are held in extremely high regard throughout the electrical contracting industry. Both Brian and Liam are heavily involved in the Mechanical and Electrical Contractors Association (M&ECA) as well as the Construction Industry Federation (CIF), while MD Liam was also a director of the Register of Electrical Contractors of Ireland (RECI) for many years and is currently an active council member of the Electro Technical Council of Ireland (ETCI). “He’s witnessed the development of the industry since the 1960s and has seen this industry flourish and take off,” Brian says of his father. Both Liam and Brian are fully-qualified electricians themselves and Liam boasts additional City & Guilds qualifications while Brian has a Degree and Bachelor’s Degree in Building Services Electrical Engineering. As RECI-certified contractors, they provide fully-compliant verification and commissioning completion certification in accordance with current ETCI national rules for electrical installations (ET 101 – 2008). As part of this service, periodic inspection and testing is conducted for various clients, incorporating PAT testing compliance when required. “We benefit from a lot of repeat business and are always on the look-out for more builders to work with. We work with the client right through the entire process, from prequalification to get on the tender list. We form a team early and work with the builder from start to finish – from tendering to getting the job to doing the job. Since they cut their teeth on several projects at The Coombe a decade ago, heathcare work has become one of L Redmond (Electrical) Ltd.’s specialist areas. They started another job for Clancy in St James Hospital this summer and have also worked extensively at Our Lady of Lourdes Hospital in Drogheda as well as high-end work on a 36-bed extension to the palliative care unit at Our Lady’s Hospice, Harold’s Cross for Clancy and an extension to the 70-bed Altadore Nursing Home in Glenageary for Townlink. They’re also working on a 50-bed HSE community nursing home on the South Circular Road (Mythen Construction) and another HSE hospital in Fairview. Other recent projects include a number of swimming pools and the Kennedy Homestead Interpretative Centre in Wexford as well as some castles for the OPW. L Redmond (Electrical) Ltd. also carried out an upgrade at Dr. Steevens Hospital – a listed building currently being used as HSE administrative headquarters, located opposite Heuston Station – where in excess of 700 light fittings were changed while business continued as usual in the building itself. Delivering results in demanding, live environments now comes second nature to Redmond’s experienced and highly-skilled team.